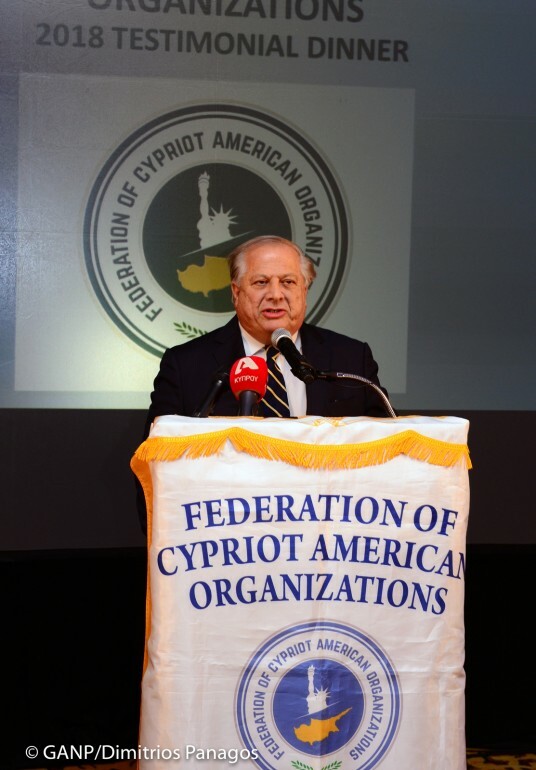 PSEKA’s (International Coordinating Committee Justice for Cyprus) President Philip Christophe issued on Tuesday an open letter to Greek-Americans of New Jersey, asking them to mobilize on November 6 to make sure U.S. 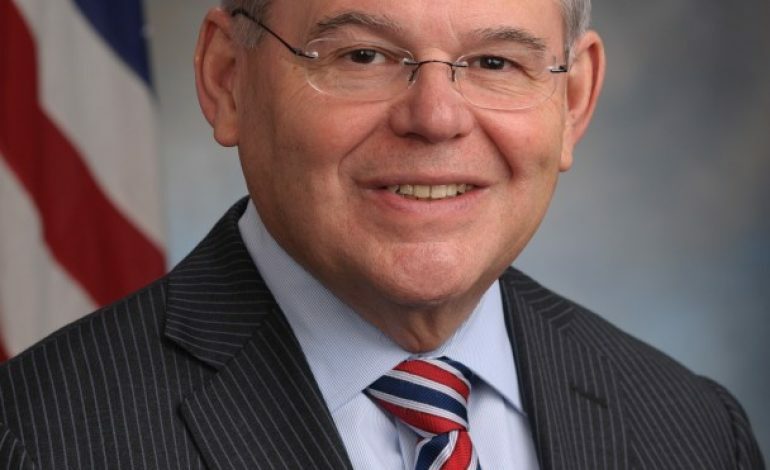 Senator Robert Menendez. “I’d hate to wake up on Wednesday, November 7th and realize that Senator Robert Menendez lost the election”, Phil Christopher says. He reminded everyone of the defeat of Congressman John Brademas, who would have become the Speaker of the House. Robert Menendez is a champion the Hellenic issues, including Cyprus, the Ecumenical Patriarchate, Macedonia and the Aehean. Menendez is seeking a third term against billionaire Bob Hugin. Although latest polls are giving the Democratic Senator from New Jersey a 7% advantage, his opponent throws millions into negative TV ads. 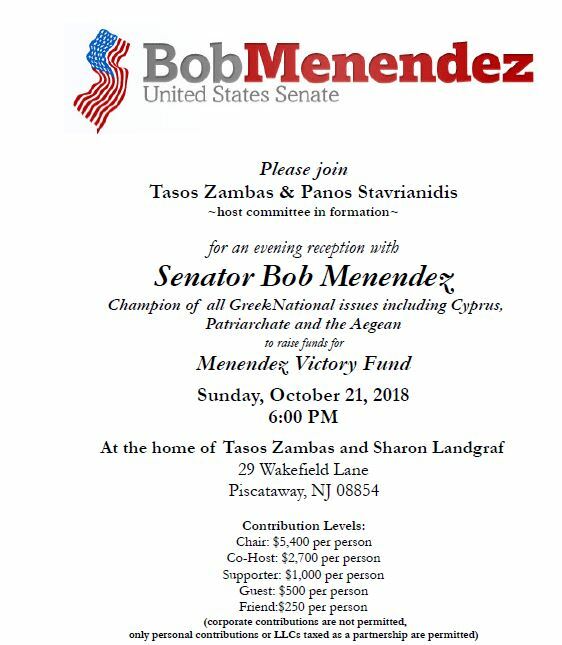 On Sunday October 21, at 6 pm, a fundraising for Senator Menendez is taking place at the house of Tasos Zambas, in Piscataway, NJ. I’d hate to wake up on Wednesday, November 7th and realize that Senator Robert Menendez lost the election! I keep having a nightmare that our friend and champion for Cyprus, Greece and the Patriarchate lost the election because we, as Greek Americans, did not do enough to help him win this critical race. Senator Bob Menendez is without question, the most valuable asset of the Greek American community. Losing Bob from the Foreign Relations Committee and his articulate voice from the Senate, would simply be a national disaster! I hope all organizations and all Greek Americans realize that regardless of our political views, we have an obligation to mobilize and bring united collective action on behalf of Senator Menendez. Whether you are a Republican, Democrat, Conservative or Liberal, we must support and keep Bob in the Senate. Our community needs Senator Menendez who has become our voice for Greek national issues. I urge all New Jersey residents to take this election seriously and go to the voting booths on Tuesday. The secret of the Greek American community is “Philotimo” and during a crisis, we remember our friends and sacrifice for the common good. Those of us who remember how we felt the day after Congressman Brademas lost must make sure we never experience such a defeat again. The dream of a free and united Cyprus will never die!